Our Shabbat morning services are the focal point of our week – informal and highly participative. 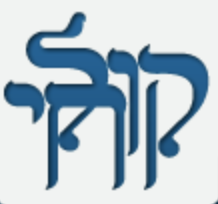 We sit in a square with the ark on one side and the bimah (reading desk) on the other, so we are all equal and facing each other when we pray. There’s lots of singing, a dvar torah, a Torah service, and someone from the congregation takes turns reading and interpreting the Haftarah. 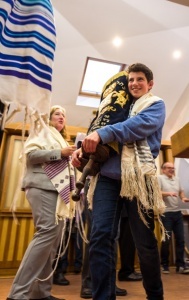 We often celebrate life cycle events during the Torah service – baby blessings, weddings, birthdays, anniversaries, and of course, Bnei Mitzvah. Everyone is included, nobody sits alone. We have an excellent members choir which sings on special occasions. The service starts at 10.30 every Saturday and the morning ends with Kiddush, a chance for the whole Community to get together. Once a month we have a study breakfast before the Shabbat morning service. Topics are wide-ranging and the breakfast is excellent! Friday night services are more eclectic. Once a month we have a study session and regular evening service. The first Friday night of each month alternates between a Supper Club, with a pre-paid meal, preceded by songs, the Rabbi’s thought for the day and Kiddush, and a Friday night service at home in a member’s house, with a shared meal. All Friday nights start at 6.45 pm, unless stated otherwise. Other Friday nights vary and include gatherings for children and teenagers. Check the diary for what is on this week.